As the name suggests, Somerset Long Bay beach is a fairly long stretch of sand. It's located in the western end of Bermuda in Sandys Parish. There is a nice nature reserve behind the beach. With it's calm and clear water, the beach is great for both swimming and snorkeling. Water here is quite shallow for up to 100 yards or so into the sea. For this, it's a popular beach for the families and kids. You won't see many tourists at the Somerset Long Bay. It's a secluded beach and a favorite to the locals. Although it's excellent for swimming, I suggest that you don't go too far out as the bottom of the bay is scattered with sharp rocks. Somerset Long Bay Nature Reserve or the park is right next to the beach. The park is maintained by the Bermuda Abdubon Society. Large part of it is still undeveloped and therefore provide a natural and quiet atmosphere that many parks or beaches do not offer. There is a fresh water pond in the park. You can see a number of migratory birds and fowls here. Some of the common birds include the herons, kingfishers, warblers, egrets, American Coots etc. The field areas inside the park is a good habitat for Grosbeaks, Buntings and Flycatchers. The society is working towards planting large number of Bermuda cedars and palmettos in the park area. There is also a pedestrian trail that take you to the various places within the park. There are picnic areas inside the park that are free and open to public. Rest rooms and car park are available. Update August 2011: A new children's playground has come up here covering some 4 acres of area. Nearby attractions include the Gilbert Nature Reserve which is located about 0.7 miles from Somerset Long Bay and on Somerset Road. It's just a 10-minute walk. There are couple of nice restaurants near by. You will mostly find locals here as they are not well known to tourists - Salt Rock Grill and Somerset Country Squire. So after a great view of the sunset from the Somerset Long Bay Beach, if you like to take your dinner in a quiet environment, try out one of these two restaurants. Both have open terraces. 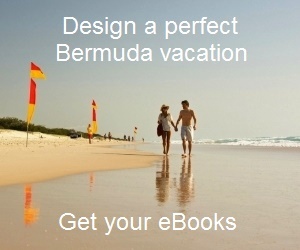 It's very close to the Somerset Village in the western part of Bermuda in Sandy's parish. Bus route: #7 and 8 operating between Dockyard and Hamilton get to the nearest bus stop. It takes about 10 minutes from dockyard to the bus stop near the beach and then 10-minute easy walk to the beach. While coming from the dockyard, get off near the junction of Somerset road and Cambridge road. Get into Cambridge road on the right and turn left on Daniel's Head Road. You will see entry to Somerset Long Bay Park on your right. Further down along Daniel's Head Road (about 0.7 miles from Somerset road), you will reach another lovely beach - Daniel's Head Beach. We just left Somerset Long Bay Beach, which we made a special point of visiting due to the wonderful reviews and photos. After just a half hour, we left. The beach was littered with broken glass shards both on the sand and in the water. It was very dangerous to walk in the water, paired with the fact that rocks and sea grasses on the bottom made it almost impossible to spot them before stepping on them. A real shame since the view and beach could be beautiful. I have to agree with the above. We were just there and found the same on the beach with sharp shards of glass. We have a 2-year old so opted to go into the park instead. They have a playground and trails through the nature preserve so it was still a nice way to spend a cloudy day and there was a nice view of the water.